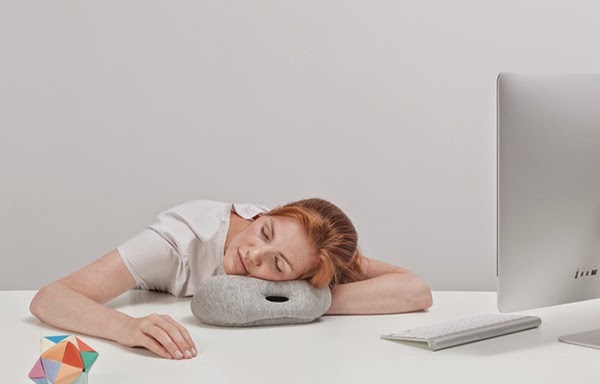 Our hectic daily lives eat into our precious rest time, it seems there are simply not enough hours in our day to do everything we desire and sleep is dropping to the very bottom of our 'to do' list. 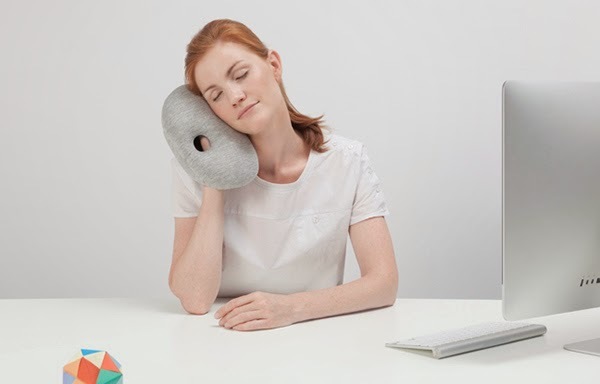 Studio Banana Things who created the 'Ostrich Pillow' has a new kickstarter project for the mini version called 'Ostrich Pillow Mini'. 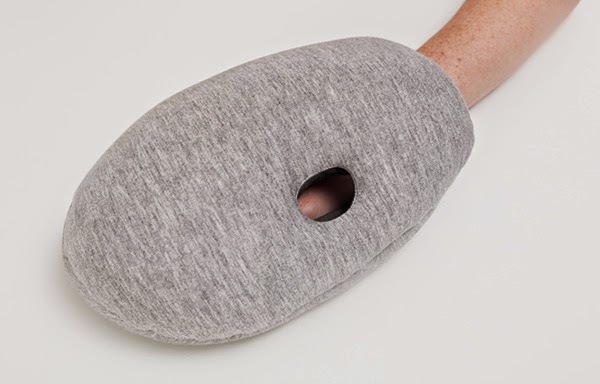 It fits like a glove, simply slip onto your hand, this light cocoon provides you with the perfect temporary pillow. 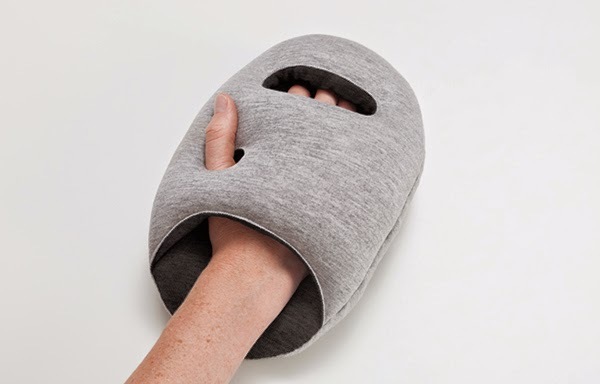 There are two openings for your thumb and one sizes fits all! 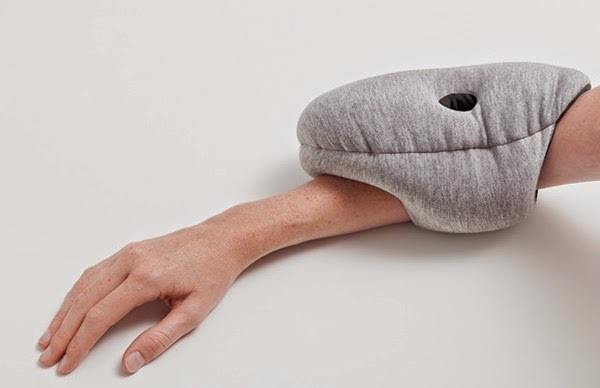 All that remains; flop your head, get comfortable and dream away. 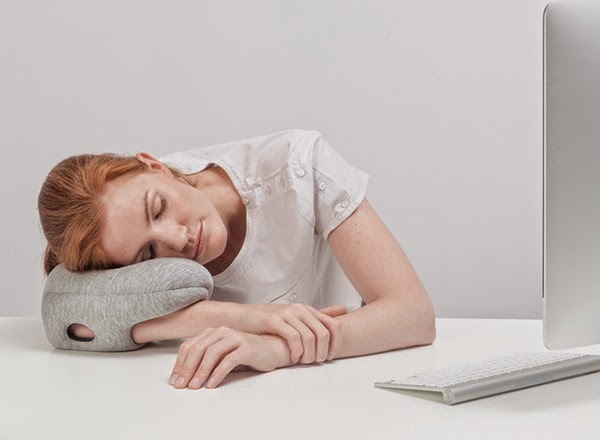 Or slide your Ostrich Pillow Mini further up your arm using the two large opening, this facilitates another amazing sleep position, one which many of us have adopted at least once or twice whilst at our desk at school, university and even work!